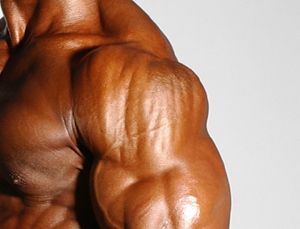 Nothing stands out on a physique like a great pair of full, well-rounded shoulders. Even if your shoulders aren’t as wide as you’d like them to be, you can create the illusion of a V-taper look by developing a pair of supersized cannonball deltoids and losing a few inches off the waist. Shoulder training can often be neglected in favor of training chest and arms, and you’d be surprised how many guys feel like their shoulders already get enough work as secondary muscles on chest/arm day and therefore don’t require any specialized work. This, of course, is far from reality in most cases. 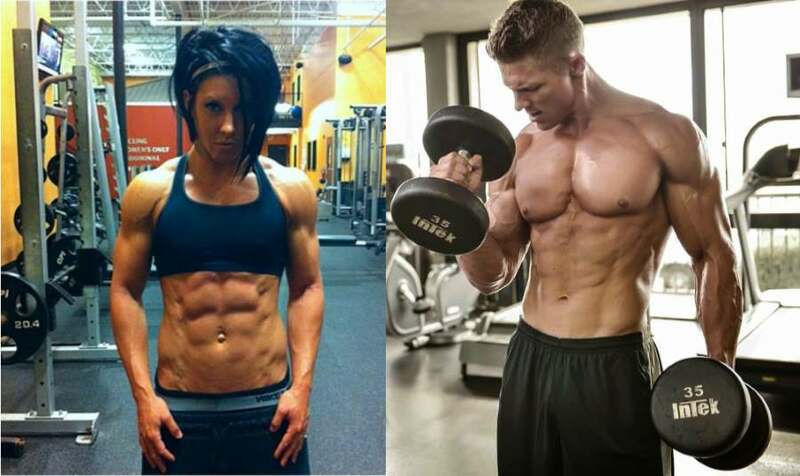 Sure, there are a few genetic beasts in every gym who seem to grow no matter what they do or don’t do, but for the rest of us, proper high-intensity shoulder training is required to ensure great development in this area. Read the rest of this article to learn how to target your shoulders better and reap quality strength and mass gains on every gym visit! First of all, make sure to replace most of your machine-based overhead presses with free-weight overhead presses performed with dumbbells or a barbell. This will allow you to engage more muscles and strengthen your stabilizing muscles which although small or hidden, are extremely important for an injury-free and highly effective performance and ultimately for building a strong and well-balanced body. Free weights enable your body to move in all three planes of movement, which is how your body normally moves in daily life, and this will help you increase your range of motion, target your muscles from all angles possible and build real, functional strength. Also, since you have to work to stabilize the weight while lifting it, instead of having a machine do that for you, your overall stability will dramatically increase. And stability is perhaps nowhere as important as it is for the shoulder area, which is notorious for its vulnerability. On the other hand, machines allow you to focus more on the effort and less on the mechanics of the movement, and this can be useful for the end of your workout, when accumulated fatigue makes balancing weights over your head very difficult. So it would be best to do the harder, free-weight variant of the exercise early in the workout, before fatigue sets in, and save the machine version for later, when you can use it to cause maximal hypertrophy and drain your muscles of any remaining strength by focusing on solely pushing the weight. Machines will also allow you to lift heavier weights and isolate specific muscle groups better, so it’s good to have a fair share of machine-based movements in your routine as well, as long as you make sure that free-weight exercises are at the center of your workouts. Besides calves, shoulders can be one of the most reluctant body parts to grow. 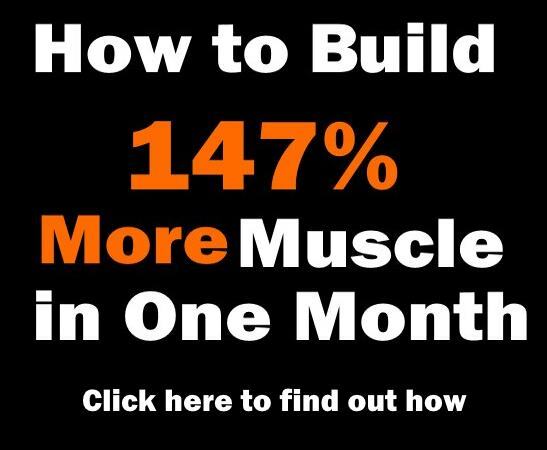 The reason for this is that these muscles are primarily geared for endurance rather than power and are used to working hard throughout the entire day to power all arm movements. This is why the most important thing to remember when training your shoulders (as well as calves!) is that they need a lot intensity in order to be forced into new growth. One way to do that is by using heavy weights, but that’s not always recommendable because shoulder joints are very vulnerable to injury and your first priority should be keeping them healthy while improving the strength of the muscle surrounding them. The other way to do it by enabling optimal time under tension (TUT). Make sure to always perform the lowering part of your shoulder exercises in a slow and controlled manner so that you can maintain a good level of tension on the targeted muscle. Also, try to make rest periods as short as possible and never go above 2 minutes. Keeping the intensity high will make your muscles work harder and prompt greater growth. 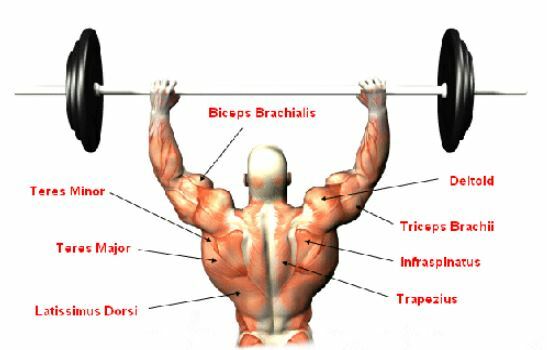 To completely exhaust the muscles and enable maximum hypertrophy, start your shoulder workouts with heavy presses and end them with lighter-weight isolation work. This is a basic shoulder mass-builder that allows you to target any existing muscle imbalances between your left and right side of the body when pressing. It’s very likely that your dominant side is stronger and compensates for the weaker one during barbell movements. 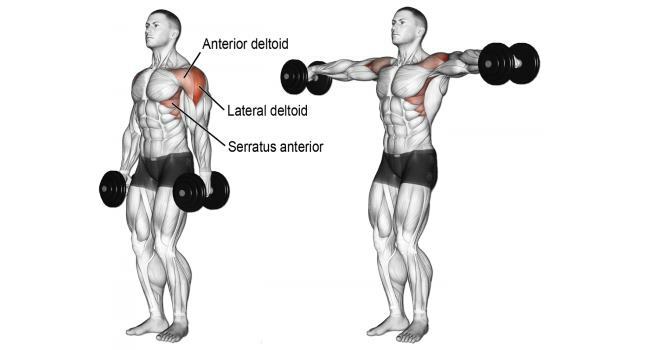 When using a barbell this is be hardly noticeable, but with dumbbells you’ll be able to tell the difference right away and address it properly. If you can, perform the exercise in front of a mirror so that you can keep your form in check. Press the weight up in an explosive manner and push your head forward at the top of every rep to make sure that you’re moving the load through your shoulders and not your chest muscles. Return the weight to the starting position with a slow and controlled movement. Perform 5 sets of 8-12 reps with 90 seconds of rest in between. 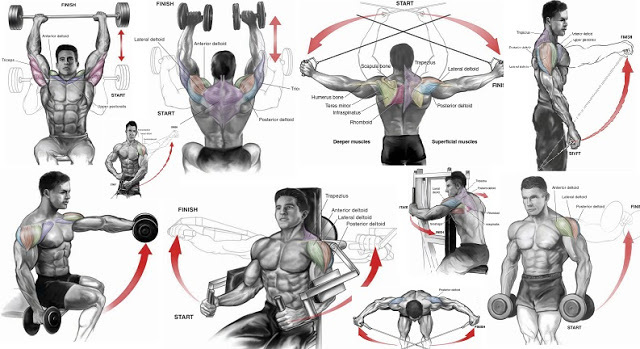 The Arnold press is a twisting variation of the standard shoulder press that targets the front and side delts as well as the rotator cuff muscle group, named after the bodybuilding legend Arnold Schwarzenegger. In addition, many other muscles are involved in this exercise as secondary movers, which is why it works great for strengthening and stabilizing the entire shoulder complex. 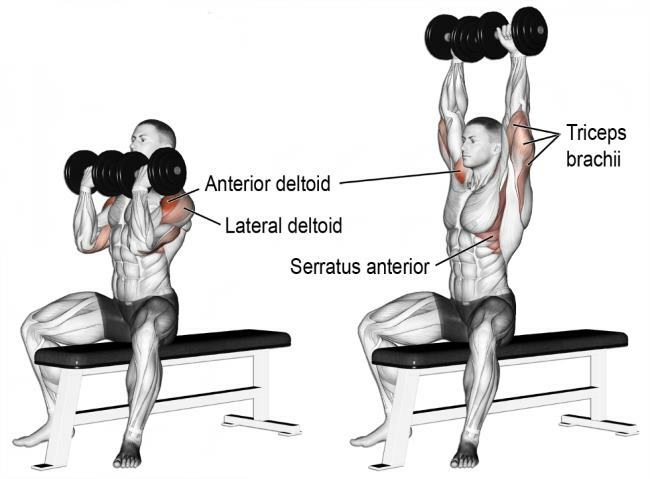 For example, as you move the dumbbells higher overhead and begin to rotate the forearms, the upper arms shift out to the sides, engaging shoulder abduction which incorporates the lateral delts, while the triceps assist elbow extension. The stabilization of the scapula is achieved by activating the lower and middle portion of the traps to support the movement. 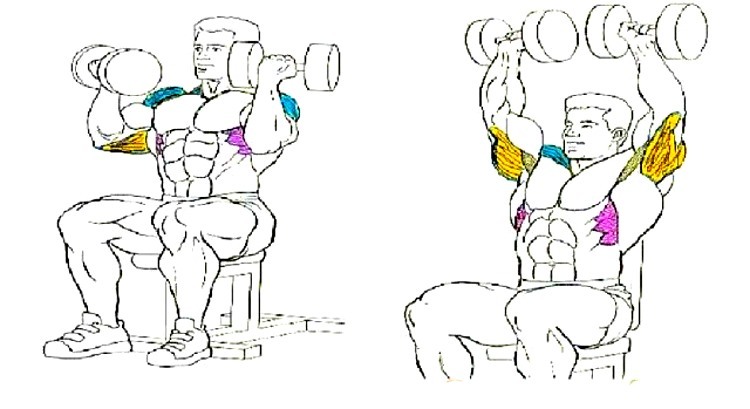 To perform the Arnold press, hold the dumbbells at chest height with your palms facing towards you and your elbows bent. Keep your arms close to your torso. As you move the weights up into the standard shoulder press position (weights at shoulder level), rotate the palms of your hands until they are facing forward and drive the weight up without pausing until your arms are fully extended above you. Hold the peak contraction for a second, then slowly lower the weights back to the starting position, rotating the hands so that your palms are once again facing towards your body. Perform 4 sets of 8-12 reps with 90 seconds of rest in between. The upright row is a very effective way to target your side delts and traps as prime movers and your front delts, rhombs and teres minor as secondary muscles. It’s a compound exercise that has to be performed with proper form in order to avoid injury – many exercise experts have claimed that more than 80% of gym-goers perform it incorrectly, which is why this exercise has the reputation of a shoulder killer. One 2011 study published in the “Journal of Strength and Conditioning Research” found that lifting the barbell too high on upright rows causes the shoulder blade to rub against the rotator cuff and create irritation and diminished range of motion, also known as shoulder impingement. 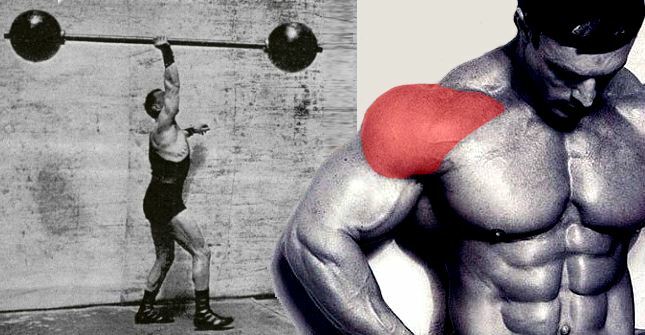 However, this means that the exercise itself doesn’t destroy shoulders, but a lack of focus on maintaining proper form certainly does, and the same can be said for a long list of great mass builders. To prevent injury, all you have to do is keep the weight close to your trunk and lift it only to the collar bones or top of the shoulders. To perform it, take a barbell or an EZ-bar and grip it with an overhand grip slightly narrower than shoulder width. Keep your back straight and maintain a slight bend in the elbows as the bar rests on the top of your thighs. Engage the sides of your shoulders to lift the bar, raising your elbows up and to the side. Keep the bar close to your body all throughout the movement and make sure that your elbows are always higher than your forearms. 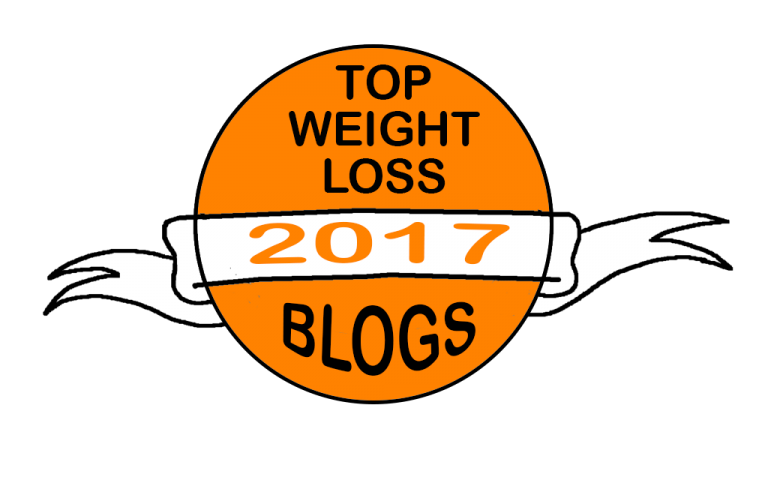 Continue to lift the weight until it’s slightly below your chin, then lower it down in a controlled movement. 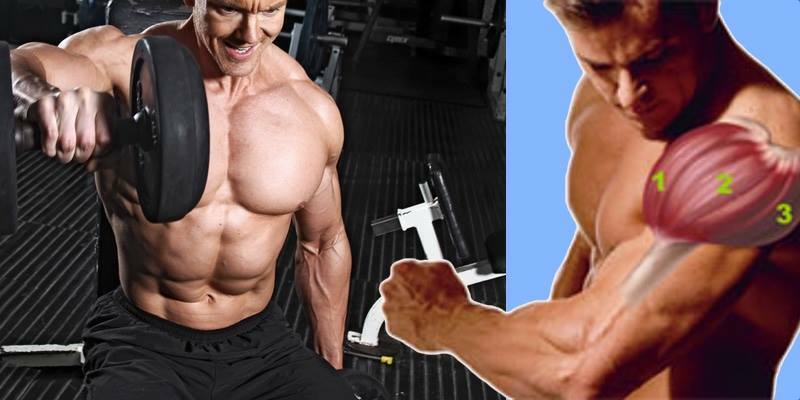 Mastering the lateral raise will undoubtedly help you develop your delts and build wider shoulders, as this exercise strengthens your shoulders and increases your shoulder mobility. And as with any other movement, proper form is crucial to unlocking optimal gains. 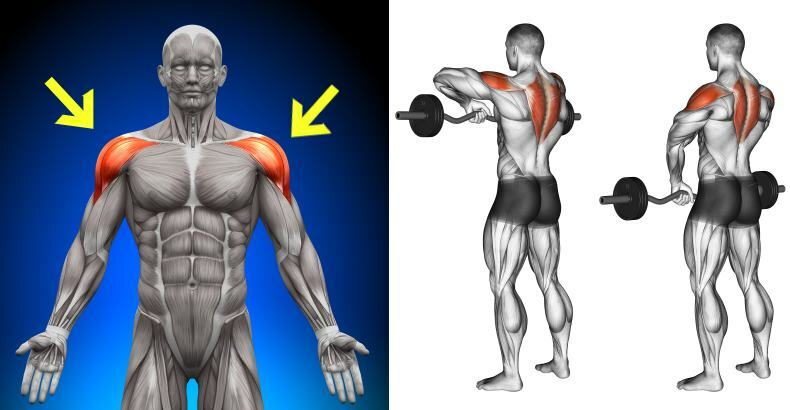 You should know that going to arms parallel will provide good overall deltoid recruitment without placing the shoulder joint under too much stress, while taking it 45 degrees past parallel will fully activate the middle delts and also bring the upper traps, rhombs, lower traps and serratus into play. You can incorporate both version into your shoulder workout by doing lateral raises to arms-parallel at the beginning and adding a few above-parallel sets with lighter weights at the end of the workout. In each variant, make sure to complete a full range of motion on each rep to make the most out of the exercise. Pick up a pair of relatively light dumbbells and hold them in front of your thighs with elbows slightly bent. Bend over slightly at the hip and knees. Lift the weights up and out to the sides by abducting the shoulders until your elbows are at shoulder height, squeeze the muscles hard and hold for one second, then lower the weights back to the starting position. Keep your elbows above or equal to the wrists all throughout the movement. At the top of the movement, your elbows should be directly lateral to the shoulders. Perform 5 sets of 12 reps with 90 seconds of rest in between. 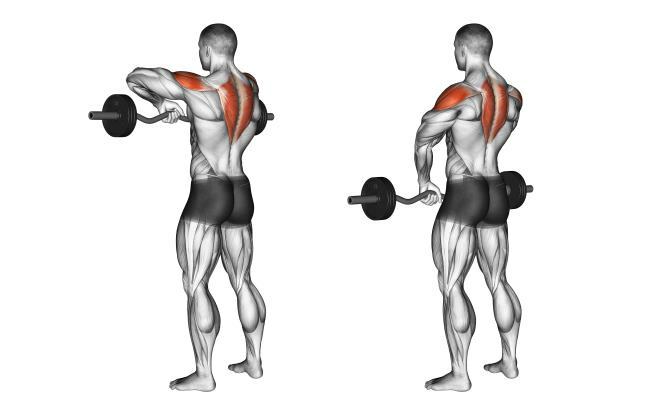 By itself, the shoulder shrug is an awesome isolation exercise for the traps. 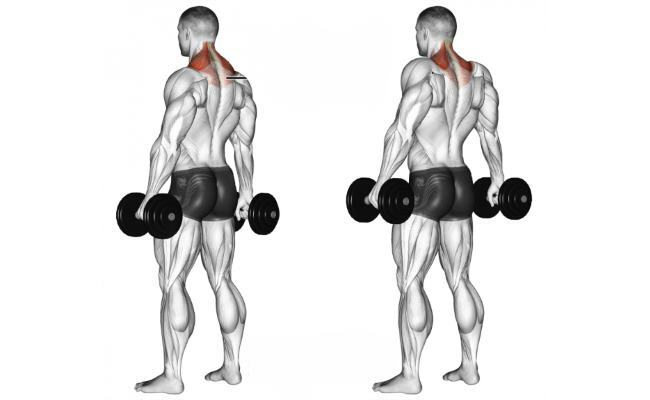 However, just because shrugs are technically an isolated movement, that doesn’t mean that their benefits are isolated to just the traps – shrugging also brings some back and muscles into play. But when paired with poor posture and sloppy form and technique, the shrug is guaranteed to do more harm than good, which is why we advise you to perform shrugs of any kind only if you intend to learn how to do it properly and always make sure to perform it with flawless form. If not, you’d be better off with some safer yet less potent shoulder moves. 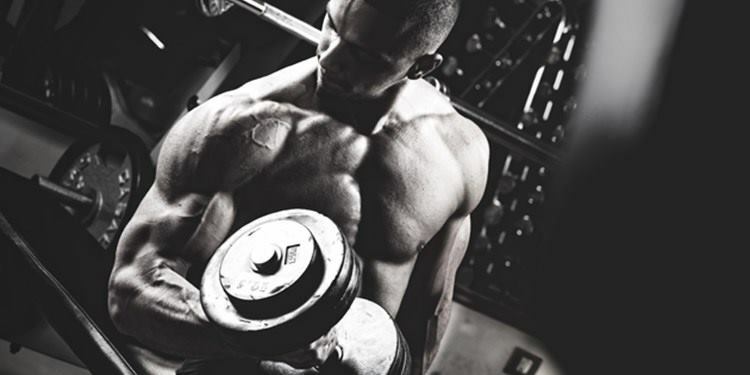 That being said, we propose you to alternate between barbell and dumbbell shrugs with good form and relatively heavy weights in order to provide your traps the optimal stimulation for growth. The barbell shrugs allow you to use heavier weights, while the dumbbell variant offers a greater range of motion, so you should take the best of the both worlds for best results. 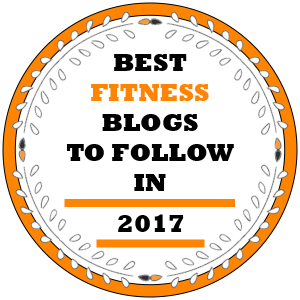 As a finisher for the workout presented in this article, perform dumbbell shrugs within a drop set. Pick a weight that’s heavy enough to make you struggle to complete one set of 15 good reps, then drop the weight by about 30% and complete another 15 reps without any rest in between. Reduce the weight again and immediately perform a third set of 15 reps, then rest for 90 seconds. 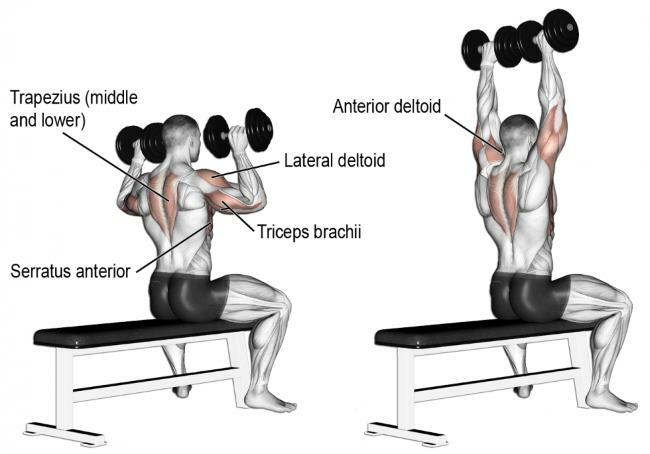 Avoid rolling your shoulders forwards or backwards and refrain from trying to lift the weight by using your triceps. At the top, raise your shoulders up as far as you can go and hold the peak contraction for a second. Perform 3 drop sets in total, with 15 reps on each intra-set and 90-second rest in between drop sets. Perform this workout once a week and you’ll be able to notice surprising results in your shoulder development in no time.